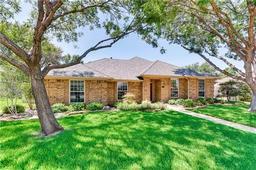 Looking for real estate near Denton Calvary Academy? Use the list below to find your perfect home, investment, or rental property. Denton Calvary Academy is located at 1910 E. University Drive, Denton, TX, 76209. To contact the school, call (940)320-1944. The email address for the school is jfellers@dentoncalvary.org. Don't see what you want? Try looking nearby in zip code 76209. You may also want to view Denton Calvary Academy in map search. Nick Mullens With Century 21 Mike Bowman, Inc.